Happy Thanksgiving to any and all readers inside or outside the USA. I’m thankful for the opportunity to hold forth like this from time to time, and thank you for listening. One thing that sitting in on John Daley’s course on military aviation history has done is revive my interest in model aircraft. You’d never have guessed. I’ve been doing it since I was a boy, with occasional gaps for College, differing employment, emigration, all the run of the mill reasons. John wants his students to make a model as part of the course, and give a presentation about the aircraft’s significance. I wanted to make a new model but I didn’t particularly want to do anything that would take up a lot of space. As a result I’m planning on using a 1/144 scale model of a BAC TSR.2 because I know very well no-one in the class will have heard of it, and it gives me a chance to wax as lyrical as any aviation enthusiast of British origin normally does about the TSR.2, usually after a couple of pints, but I’ll settle for my classroom mug of coffee. Incidentally, if you ever fancy trying it, the Chinese “Great Wall” model of the TSR.2 in 1:144 scale is a little marvel. Someone on Amazon slagged it off as an “itty bitty toy” which I feel is pretty unfair. It is seriously lovely, delicate and captures the appearance and feeling of the real aircraft, which is no small achievement (pun!) given its size. It’s eight inches long from stem to stern. I wanted to make another model for scale size comparison. The B-24 is useful for that purpose. Show and Tell. My 1:144 Scale TSR-2 masked up awaiting some paint, and my nearly complete 1:144 scale B-24 Liberator for scale reference. If you’d said to me a while back that the TSR.2 was longer than a Liberator I’d never have believed you. I fancied hauling out one or two of my older 1:48 models with a view to seeing them to a state of completion and perhaps showing them too. I knew a few years back that my Focke-Wulf 190D-9 was in trouble. The JV44 markings and paint scheme so beautifully supplied by Dragon back in the 1990s for one of the aircraft of the Platzschutzschwarm (airfield protection flight) turned out to be inaccurate, to say the least. Just plain wrong. I have amassed enough photographic and published reference in the 20 odd years since the kit came out to know where they erred, and what to do about it. Never mind. I have a nice old Fujimi model of a Bf109 which I wanted to make as a late G model. It had a lovely Reichsverteidigung (Defence of the Reich) scheme for “Yellow 9,” an aircraft of 9/JG54 in March 1945, so it said. Those coloured bands have fascinated me since I was a teenager. The 1987 Fujimi Bf109G-K Paint guide. Perhaps I should have had a bad feeling. Excuse the color accuracy of my scan. So I went ahead and used that. I recently applied some matt varnish to the glossy blue band which troubled me for many a year. I was liking the way it looked. My 1:48 Scale Fujimi Bf109G-14 model, not exactly complete. I love the way it looks, but now even this has issues with its historical veracity. Incidentally that’s not a tropical filter, just a trick of the light in the picture. So I wondered, what can I do to finish this thing off? I thought I’d look up some pictorial reference for the aircraft. Here came that sinking feeling. There isn’t any pictorial reference. I can’t find a pic of any Bf109G-14s serving with 9/JG54, much less this one. Darn. The publication date on the painting instructions is 1987. Shoot. I was really starting to like this. If anyone out there has any helpful reference suggestions I’d be interested to hear them. I have seen a similar looking Bf109 G-6/R-6 with additional cannon “gondolas” under the wings, the older style fin and rudder, and RLM 74/75/76 camouflage. As you may see if you’re that kind of geek, mine has what I think is, or intended to be RLM 81/82/76. I’ve lost any underwing armaments that may have come with the model although that’s not a serious problem. There are quite a lot of aftermarket parts around. I certainly don’t want to repaint the while thing. I probably do need to wield my trusty 35-year old Paasche VL airbrush on the Fw190, since JV 44 seemed to spray a lot of green around on their Me262s as well as the four Focke Wulfs. That red underside is not going anywhere, I’ve become much too attached to it. (Arthur S. Gould Lee, Open Cockpit: A Pilot of the Royal Flying Corps. London: Jerrolds, 1969). When I was writing the piece about the Barnwell brothers (https://airbornerambler.wordpress.com/2015/05/20/connections/) I noted that that Harold Barnwell was killed at Joyce Green flying the prototype Vickers Vampire night fighter in August 1917. Vickers’ association with Joyce Green goes back to 1910 when they unsuccessfully attempted a test flight of a machine built in Crayford in association with Hiram Maxim. Maxim left the enterprise, but Vickers established an Aviation Department at Joyce Green in 1911, testing aircraft built in their Bexleyheath, Crayford, Erith, and Dartford factories. After the outbreak of war in 1914, Joyce Green assumed a role in the air defense of London from bombing raids by Zeppelins. The airfield’s first occupants under No. 6 Wing were No. 10 (Reserve) Squadron, using a mixed bag of aircraft including Farmans, Vickers FB5s and FB9s, DH2s and FE8s. The role of this unit was to receive pupils from preliminary training schools for final training for their wings. Each course consisted of about 20 pupils and lasted two or three weeks. This included time spent at Lydd where aerial gunnery was practiced at the Hythe range. On gaining their wings the young pilots would get a 48-hour pass before being posted to the Front. On Christmas Day 1914, 2nd Lt M. R. Chidson, Royal Garrison Artillery, (Pilot) and Corporal Martin (Gunner) in an FB.5 flying from Joyce Green pursued a German Friedrichshafen FF.29 seaplane of the Imperial German Navy based at Zeebrugge in Belgium. Unfortunately the FB.5s gun jammed over Purfleet, leaving the German free to drop two bombs on Cliffe railway station in Kent. Other ‘Gunbus’ sorties were mounted from Joyce Green following the Zeppelin roads of January 1915. In October 1915 the station put up five aircraft against Zeppelins L13, L14, L15, and L16; two would land safely after the action. 2nd Lt Claude Ridley took off from Joyce Green in a BE2c and spotted the airship for a brief moment in searchlights. He fired off 20 rounds at extreme range but then lost sight of the airship. McCudden’s mild opinion notwithstanding, the reputation of the field as a dangerous place for flying caused the RFC to search for other airfields south of London. Their search led them to a farmer’s field close to the village of Biggin Hill, and all flying was moved to the new Biggin Hill station by 1917. RFC wireless testing was carried out at Joyce Green from 1915, following a lingering demarcation dispute between the Royal Engineers and the RFC caused by the latter’s takeover of the Marconi facilities at Brooklands (Surrey) in 1914. Wireless testing for the RFC had previously been under the authority of the Royal Engineers. It was deemed necessary to separate the staff of the two organizations, the Engineers being sent to Woolwich while the RFC relocated to Joyce Green. Interestingly the airfield hosted some of the earliest elements of the US Army Air Service to arrive in Europe. Three flights of the 8th Aero Squadron arrived at the end of 1917 and were dispersed. It seems that pilots were attached to British units for further training. Ground crews were attached to British training units to learn maintenance procedures. Ground crews from the 149th Aero Squadron were apparently at Joyce Green in May 1918. Vickers continued test flying from Joyce Green. The prototype FB.27 “Vimy” was built at Crayford , taken by road and re-assembled at Joyce Green for test flying. The map below gives some idea of the general topography and salient features of the area around Joyce Green. The location of the airfield is (I assume) at the top of the dark green stripe in this Google image. 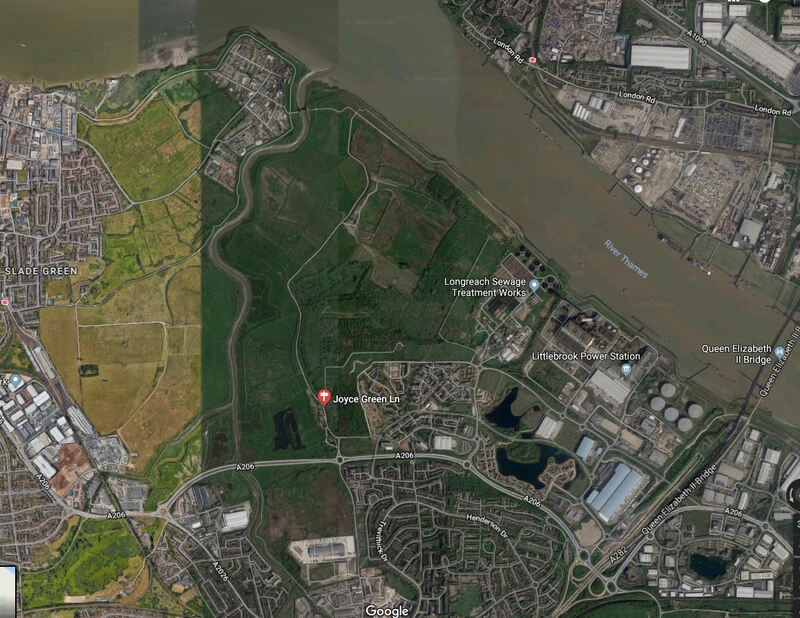 the former Joyce Green Hospital (demolished in 2000) is at the right-hand edge of the dark green strip on the banks of the Thames, (sadly) close to the sewage treatment works mentioned by Arthur Gould Lee. I never was much of a local historian until now, and since I’m 4500 miles away there’s only so much I can do, but the locality is full of history and the story of the airfield is given in a little more detail at its Wikipedia page. As with most little things which piques my interest there is a lot more to the story once you start digging. At this point it seems the sensible thing to do is to show my enthusiasm and let yours (my handful of readers) take it from there. It is interesting to think that without Joyce Green, there may have been no Biggin Hill, which may have caused a small change in British military aviation history as we know it. CFM-56 – Politics, Exports and More. I was wondering whether to blog anything about the CFM-56 engine following its recent appearance in the news headlines. The media coverage following the in-flight failure of an engine on Southwest Airlines Flight 1380 on April 17, 2018 dredged up several stories going back through the years, one of which piqued my attention and made me want to fill in some of the gaps in the narrative. I have no doubt my teaching inclination influences my thinking, but the back story of one of the more common jet engines is a lot more interesting than I had imagined. The CFM-56 is also known by its military designation F108 (I had no idea about this – I need to look at the F101 and F110 too to clarify which is which) and is joint project of Safran (formerly Snecma) and GE Aviation under the name CFMI (CFM International). According to its Wikipedia page, the CFM-56 one of the most common turbofan engines in the world, with 30,000 units built by July 2016. The project might have met an early (one might say premature) demise which was not of its own making. The first example ran in June 1974, but for the next five years there were no orders for the engine. Two things saved the CFM-56. Firstly, a contract with several American operators of the DC-8 to re-engine their aircraft, and secondly the decision by the US Air Force to re-engine the KC-135 fleet. The politics behind the partnership and the marketing of the engine may be one of the reasons why no-one ordered any of them in the first few years. GE’s application for an export license was denied on national security grounds by Henry Kissinger in 1972. Lobbying continued at the very highest level, and the matter appeared on the agenda of the US-French summit between Richard Nixon and Georges Pompidou in Reykjavik on May 31 – June 1 1973. Chronologically this is a rather fascinating time in the former US president’s career. A month previously, on April 30, Nixon had announced the resignations of H.R Haldemann, John Ehrlichmann and Richard Kleindienst, and the firing of John Dean. By the end of June 1973 a Gallup Poll found that 98 percent of Americans had “heard about” Watergate. It would appear that the diplomacy involved with “French-made” engines involved GE sending engine cores from its plant in Ohio to the Snecma plant in France, at which point American GE technicians would mount the French components to the cores, and would release the engine for finishing. I assume that nothing as convoluted as this happened with American engines assembled in Ohio. The strict controls were related to the fact that the engine core for the CFM-56 was also being used in the development of the B-1 and thus was a fairly sensitive national security issue for the United States. Orders for the CFM-56 started to come when aggressive marketing resulted in the contract to re-engine the DC-8 for three US Airlines (Delta, United and Flying Tiger). Boeing was prepared to offer a CFM-56 powered 707 named the 707-700, but no civilian orders were forthcoming. The research on the 707-700 project (and the prototype itself) did however convince the US Air Force of the viability of the CFM-56. The USAF promptly ditched the allegedly dirty and inefficient Pratt and Whitney J57 from the KC-135 fleet and replaced it with the CFM-56, calling the new type the KC-135R. Boeing later announced that a CFM-56 would power the 737-300 series airliner. Some re-design work was necessary to accommodate such a large engine on an aircraft with a low wing and minimal ground clearance. The CFM-56-3 for the 737 has a characteristic flat-bottomed engine nacelle which many of us have noticed on our travels around the world. In a gesture of European solidarity, Airbus have also joined the CFM-56 user community for large and small Airbus products. The full list of applications for the CFM-56 according to its Wikipedia article is as follows. Airbus – A320 family, A318, A340. Boeing – 707-700 (prototype only), KC-135R Stratotanker, E-3D Sentry, E-6 Mercury, RC-135, 737 Classic, 737 Next Generation, 737 AEW&C, C-40 Clipper, P-8 Poseidon, Business Jet. Douglas – DC-8 Super 70. Sadly, the CFM-56 has had its share of bad publicity. The most notable failure (notable to me, anyway) occurred in the UK in January 1989. A fairly new British Midland 737-400 on a flight from London to Belfast crashed at Kegworth while trying to make an emergency landing at East Midlands Airport, following a fan blade failure in a CFM-56-3. Two other fan blade failures occurred in British 737-400s shortly afterwards, resulting in the type being grounded world wide while modifications were carried out to the engines. The recent failures on Southwest Airlines 737s (Flight 3472 from New Orleans to Orlando in August 2016, and Flight 1380 from New York LaGuardia to San Francisco in April, 2018) indicate that fan blade fatigue is an ongoing issue. There have been incidents of CFM-56 engines flaming out in heavy rain or hail. The most dramatic incident involved TACA Flight 110 from Belize to New Orleans in May 1988. Both engines on the 737-300 flamed out while passing through hail and heavy rain, and the crew was forced to carry out a deadstick landing on a grassy levee adjacent to NASA’s Michoud Assembly Facility in eastern New Orleans near the Gulf Intracoastal Waterway. Only one minor injury was sustained among the the 38 passengers and seven crew. The story of TACA 110 is pretty amazing as this YouTube clip may show. The hail damage on the nose cone of the 737 is visible in the thumbnail below and is indicative of the strength of the storm through which the aircraft inadvertently passed. As a result of this and other flameout instances, CFMI made modifications to improve the way in which the engine handles hail ingestion. The pilots of TACA 110 selected continuous ignition for the engines as their training advised in the weather they experienced. CFMI have added a sensor to the CFM-56 to start continuous combustion automatically in conditions of heavy hail or rain. I was tempted to give some click-bait title to this blog entry and play up the Watergate connection, but that would be a little dishonest. However it is interesting that a turbofan engine which we find so commonplace today has its roots in a meeting of two executives the early 1970s, and featured on the international summit agenda of a US President who was, to say the least, looking a little beleaguered politically by this time. I should know better than to read some news articles. At least I don’t read the public comments since my blood pressure wouldn’t stand it. Today I read an article that said some of the Chemtrail believers are getting more vocal. The bit that really got me was one of the prime movers who said “20 to 30 years ago we didn’t have these.” What? Last time I looked, 1940 was a bit more than 30 years ago. Of course I can remember a time when 1940 *was* 30 years ago, but that was 1970. A little later, aviation historians will remember pictures like this of B-17s and B-24s on bombing missions in the Second World War. Another early contrail was observed in France in 1918 , according to a 2007 article in Air Power History. “Wakes of war: contrails and the rise of air power, 1918-1945 Part I – early sightings and preliminary explanations, 1918-1938” (The URL has been hijacked and leads to some weird page about investments in French – this is why there’s no link). I shall have to do a little more image research to see if there are any more early pictures of contrails out on the web. I remember seeing a picture of a very high flying JU86 observed over Sussex on 18th August, 1940 leaving a high thin contrail which must have displeased the reconnaissance crew no end. There must be something earlier. I learn something new today in my searches. Contrails have an opposite. The dissipation trail, or distrail. Warm exhaust air causes particles of moisture to evaporate and produces the effect of a line being drawn through a cloud with an eraser. These are much more fleeting than a contrail and have their own strange beauty. I think I may have seen these over the years, although my eyesight is not of the finest. I’d be interested to know if any of the readership have any personal experiences with distrails. I had a couple of days off in Oklahoma recently, and visited the Tulsa Air and Space Museum (and Planetarium) which has changed considerably since I visited in 2000. A lot of things change in seventeen years. The museum has moved to a new building and has a lot of interesting exhibits. I’ve learned a couple of interesting snippets about Oklahoma’s aviation heritage which may not be new to my reader, but to which I hadn’t given much thought. More of this will follow in other articles. I love looking at the stories detailing the early years of aviation. 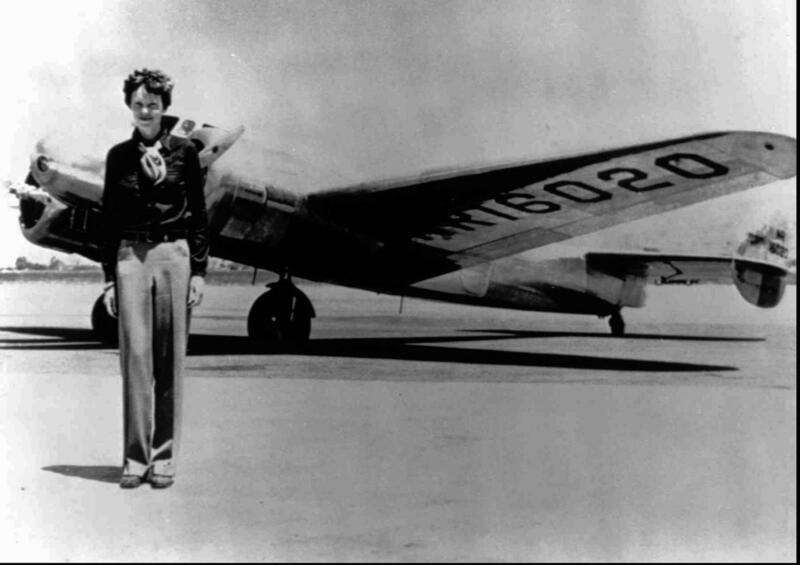 Tucked away in a quiet corner were the stories of people like Wiley Post and Duncan McIntyre. 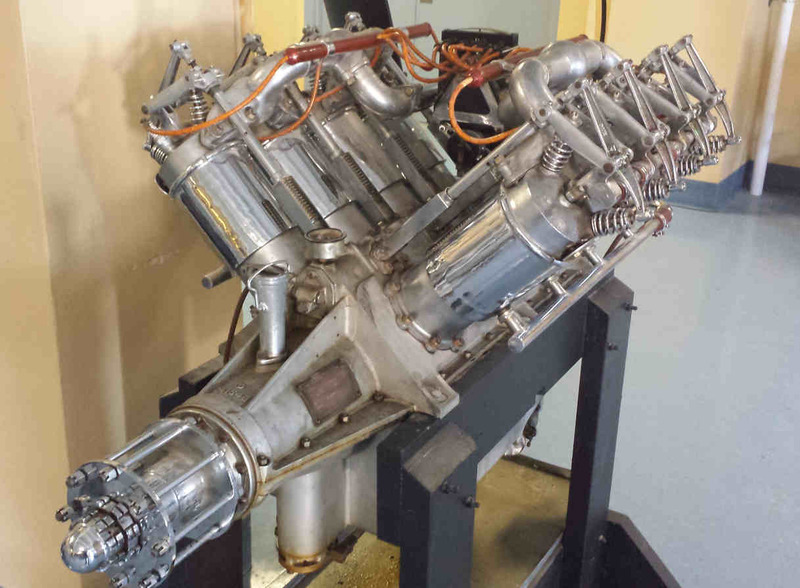 Also tucked away but neatly displayed was a Curtiss OX-5 engine. I wasn’t going to write about it, but it’s occurred to me just to what extent the OX-5 made a considerable mark on the early years (some would say the golden age) of American aviation. The OX-5 was an eight liter (500 Cubic Inch) V8 which first saw the light of day in 1910. 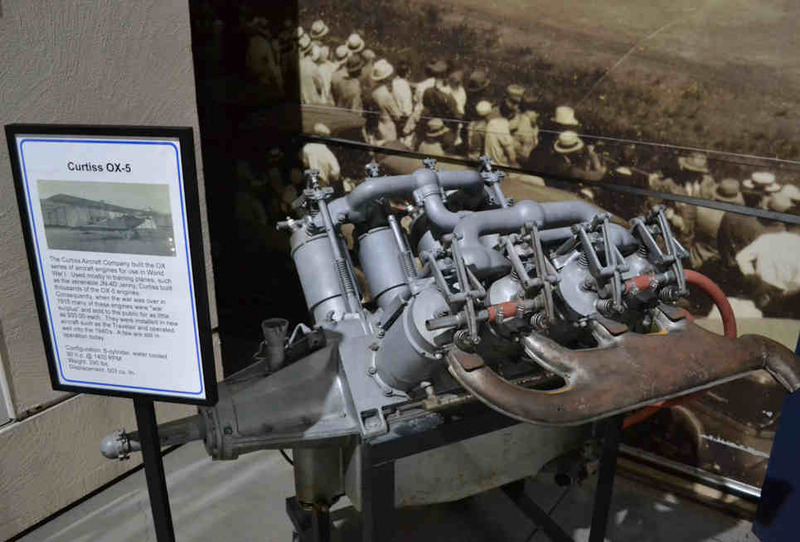 Its ancestors were V-twin motorcycle engines, but Curtiss moved into aircraft engines, and the OX-5 was the first American aircraft engine put into mass production. I was surprised to read that more than twelve thousand OX-5s were built. One of its major uses at the outset was powering Curtiss’ own JN-4 “Jenny” trainer. At the end of the First World War there was a considerable surplus of OX-5 engines, and this made the OX-5 virtually the default choice for nascent American commercial aviation industry. The Swallow of 1924 and the Travel Air 2000 (the gloriously nicknamed “Wichita Fokker” because of its perceived resemblance to the Fokker D.VII) both used the OX-5 and both have surprisingly similar nose designs. 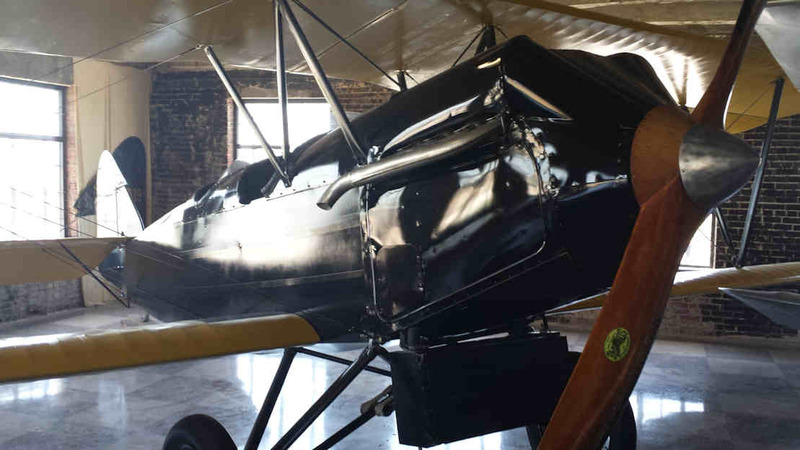 Douglas Corrigan’s 1929 Curtiss Robin (see previous article) had an OX-5 engine when he bought it, and which he swapped for a more powerful Wright radial. One may speculate if he’d have succeeded crossing the Atlantic with an OX-5 powered Robin. Then I wondered if I had any other OX-5 pictures, and yes, it seems I do. When I went to visit the Kansas Aviation Museum in Wichita on a blistering June afternoon in 2015, they had a shiny OX-5 in their exhibition. Interestingly this one seems to have a little more of the ignition wiring in place, but not the exhaust pipe. While we’re talking about nose shapes here’s the KAM’s Swallow looking lovely in June 2015 – complete with a rather lovely streamlined cowling covering the Curtiss powerplant inside. Notice the slab-like radiator underneath. And finally, a picture (not mine) of the “Wichita Fokker” – the Travel Air 2000, also with an OX-5 engine. You can see why Howard Hughes wanted at least one example of the Travel Air when he was making Hell’s Angels. Those balanced ailerons, and the fin/rudder shape are strongly reminiscent of the Fokker design. With a Ranger engine installed, the similarity was amazing, but that’s another story. The nose lines of the Travel Air here are remarkably similar to the Swallow and the OX-powered Waco 9 of the same vintage. Consider Buck Weaver (founder of Waco) and his Wichita connection with “Matty” Laird and Swallow, and the coincidence is taken further still. This is hardly surprising. There are only a certain number of things you can do to make a streamlined cover for an OX-5.